I am a web designer, using grids in web design is pretty easy. I would really like to try and design 2d illustrations, though I am not good at drawing. Recently I keep coming across drawings (like the one bellow) what show the use of a grid. The artist sketched the figure by hand. This gave them a road map of the general shapes and layout of the piece. From there, the artist may have scanned the sketch to use as a general roadmap. Looking at the sketch, you can create the grid and circles for the areas you want to align. Then using tools in the software, allow the paths being created to work with the grid system. Even if those paths doesn't precisely follow the original sketch. I would guess (and it's pure guessing) that only half of that image was drawn then mirrored to create the other half. 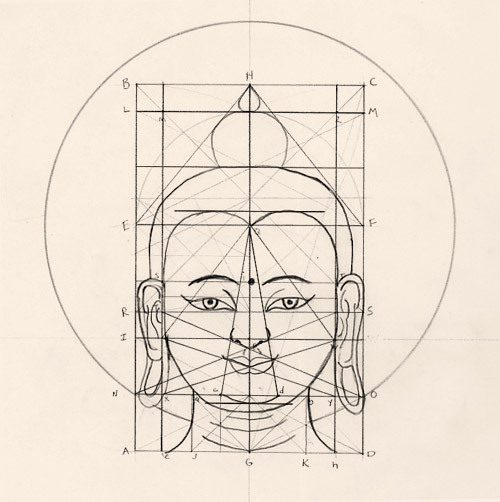 In the end, almost all artwork starts with a sketch or idea of what is to be created, then the grids and guides are used to refine placement of paths and create harmony and symmetry between areas. I've never seen someone create a grid, and then decide what to draw. It is very doubtful that someone created a bunch of circles and lines, then decided what to make using them as guides. I second DA01 - the grid is not necessarily the starting point, designs may not start with a grid, but might as well be something added later. Take a look at this post; it might answer some of your questions: What is this circle technique called? Not the answer you're looking for? Browse other questions tagged illustration grids or ask your own question. What is this circle technique called? How can I determine which drawing tablet is right for me? How can I display text results/posts/sections in a user-friendly and intuitive way? How to adjust online grids to desktop web design and mobile web design in Photoshop?